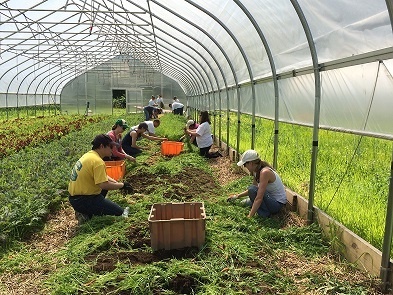 The volunteers working together to harvest carrots. 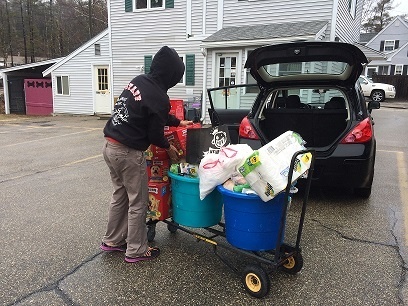 A Sterling Animal Shelter employee loads the plethora of donated items. JB Learning Cares, the employee led charity committee of Jones & Bartlett Learning, organized a 'day (or 2) of volunteering' as part of the 2013 charitable initiatives. 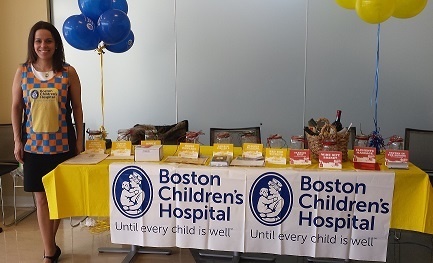 Generous employees have historically stepped up to donate money and items for a variety of drives, including toy drives during the holidays, food drives throughout the year, coat drives in the cold winter months, and most recently, the victims of the Boston Marathon bombing tragedy - donating over $5,400 to The One Fund Boston! Though employees were eager to donate more of their time and energy to a great cause. Earlier this year more than a dozen employees participated in Project Bread’s 45th Walk for Hunger raising nearly $3,000, and with the JB Learning Cares contribution, donated over $4,600 to assist hungry people across Massachusetts!